We should make a sign for the golf course. 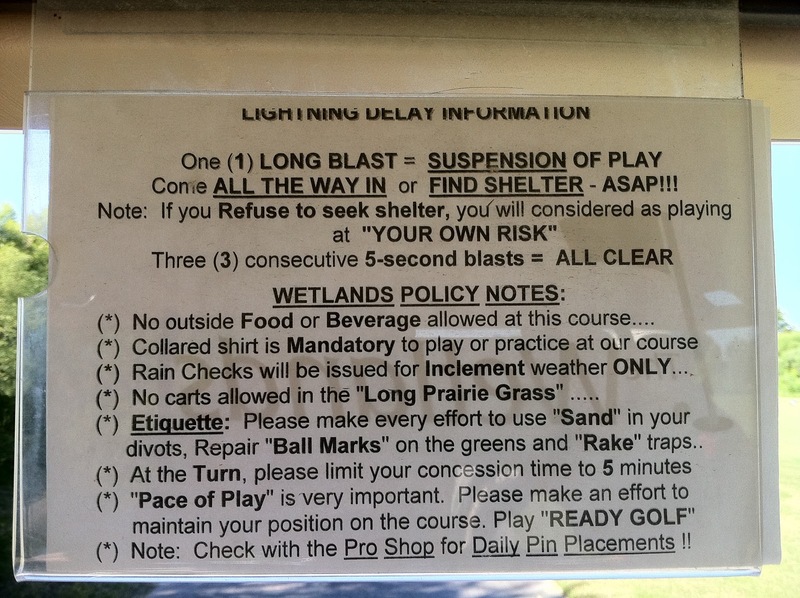 Make sure to use all the "golfer" "lingo" on it. Thanks, Keith. 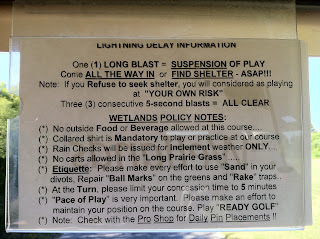 Maybe this is code for the regular golfers. Some type of inside joke or something. Haha!